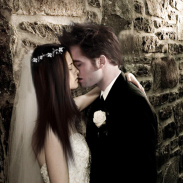 Breaking Dawn Wedding. . Images in the Twilight Series club tagged: mich breaking dawn twilight bella and edward 2010 vampire wedding.